August Certified Pre-Owned means hand selected, hand conditioned and delivered to our clients, all at the highest standards. It is important that our clients drive away excited to hit the road with confidence, safety and peace of mind. Our August Certified Pre-Owned Vehicles go through an extensive certification process by our highly trained technicians and luxury-car experts to ensure these vehicles are of exceptional performance, uniqueness, reliability and value. 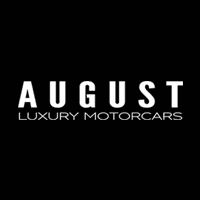 August Certified is a set of standards our clients have come to expect of August Luxury Motorcars. Our highly trained, experienced luxury-car experts and technicians can give you all the information you need about every make and model so you can make a selection that’s perfect for you. We also offer warranty options for your purchase! Guaranteed satisfaction exchange within 30 day/500 km–an industry-leading exchange program! Your August Certified Pre-Owned vehicle is one you can share with family and friends in this vehicle life, and when you come back on your next luxury upgrade. Drive with us.